The Russian security services have arrested six militants in Russia’s North Caucasus. The fighters had a lab for producing explosive devices within which was a ready-to-use bomb. Five members of an armed group were detained in the city of Cherkessk, capital of the Karachay-Cherkess Republic, the National Antiterrorist Committee (NAC) reported. “One more gunman from this group tried to flee and was arrested in the [neighboring] Kabardino-Balkar Republic,” the NAC statement said. 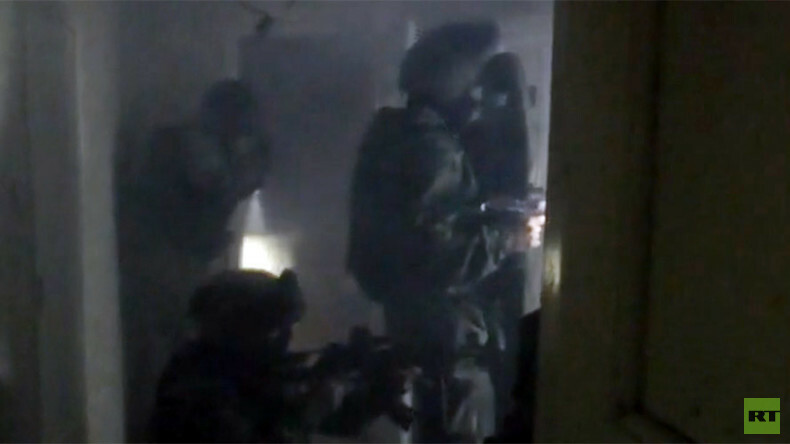 Following the arrests, anti-terrorist forces stormed one of the houses linked to the group. 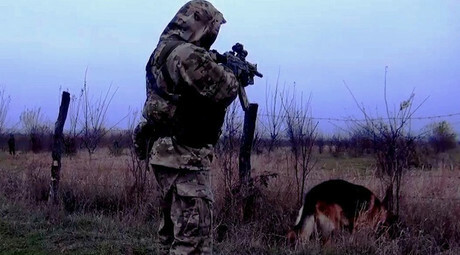 The operation was filmed and the footage released shows several explosions taking place during the special forces’ operation. NAC said that “a lab for production of improvised explosive devices” was found. “Among the criminal objects there was found a 4kg (9 pounds) TNT self-made explosive device and numerous components and explosive materials for bomb production,” NAC’s statement says. As part of the anti-terrorist operation, a large number of munitions, grenades, shells for grenade launchers, TNT blocks and detonators were also seized. All of these objects, including the bomb, were later destroyed in a controlled explosion outside the city. In the NAC video an anti-mine robot is seen being used by the security services to handle the bomb. The investigators also found SIM cards and memory cards with extremist texts and videos – including ones with calls to join international terrorist organizations and commit terror attacks. There were no casualties or injuries among either the security services or civilians during the operation, according to NAC. In a separate operation, Russian security forces killed three militants sheltered in a ruined house in one of the local settlements. The launch of the counter-terrorist operation was announced in the capital of the Karachay-Cherkess Republic on December 24.